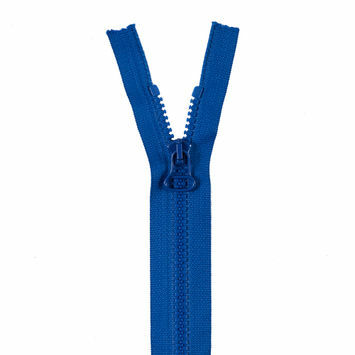 Many zippers use two sets of interlocking teeth called a chain. 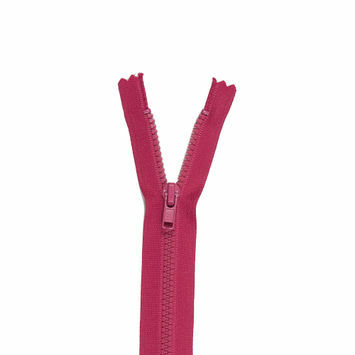 Compared to zippers made from coil, chain zippers are sturdier and can make a more daring fashion statement. 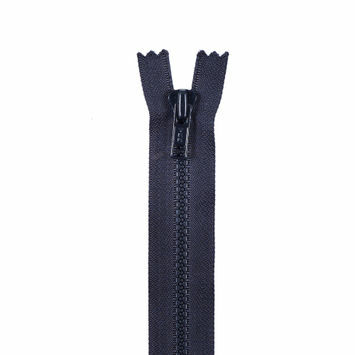 Made of metal or synthetic materials like plastic, they zip up and down when used with a slider and can be used for decorative purposes as well as a purely practical function. 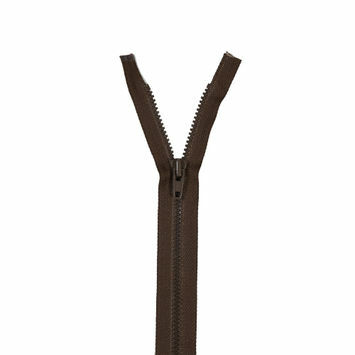 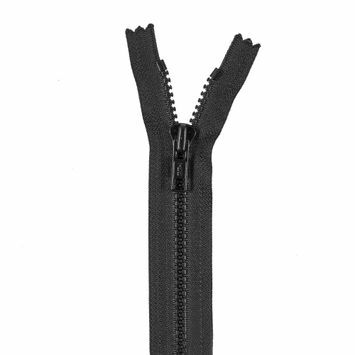 Keep your chain zippers well-stocked with Mood today! 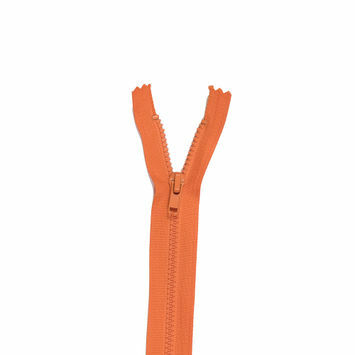 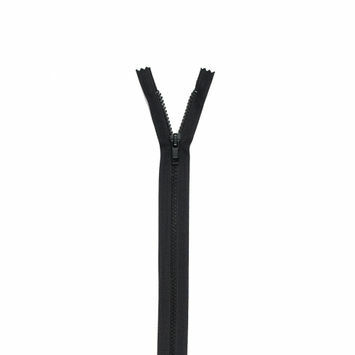 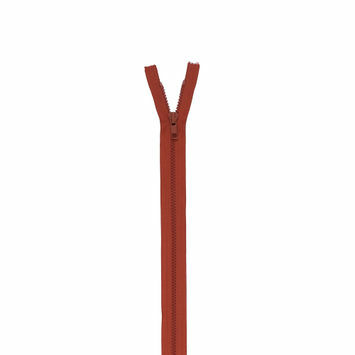 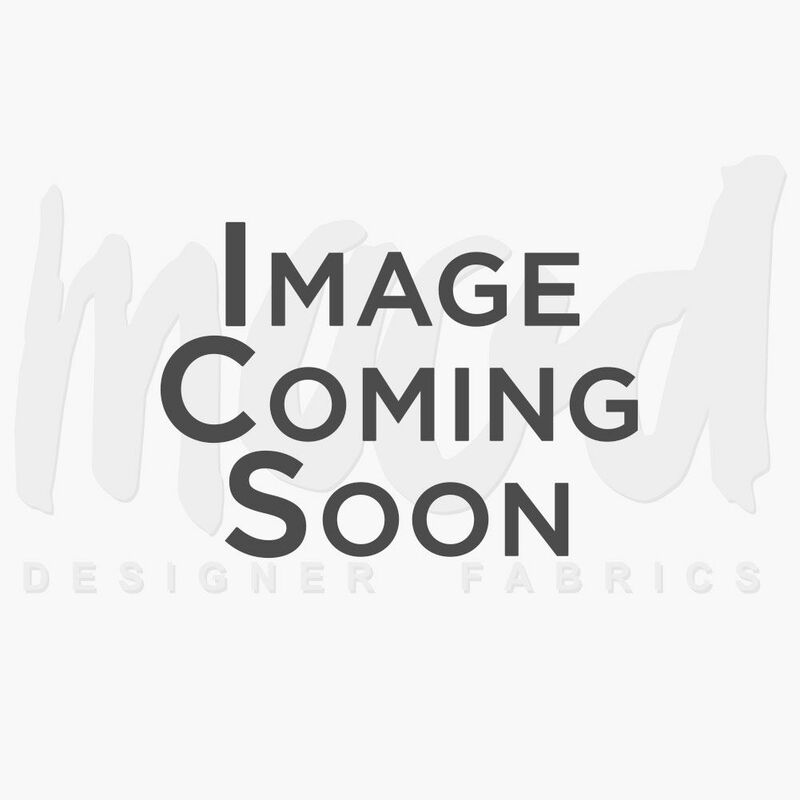 Burnt Orange YKK 1-Way Separating Zipper - 30"
Black Plastic Molded Chain Zipper - 6"